Home Genaral Knowledge World's G.K General Knowledge For SSC Exams : Important International Boundaries all over the World. General Knowledge For SSC Exams : Important International Boundaries all over the World. General Knowledge : Important International Boundaries all over the World. Here GK Solve Share some Important International Boundaries list for Competitive Exams like ssc, wbcs, wbssc, ibps, upsc, rail, bank etc.Read carefully. Indian Job English And Hindi ( Exam Tutorial) App.apk. Click Here! Preparation Job exam (bengali) App.apk Click Here! 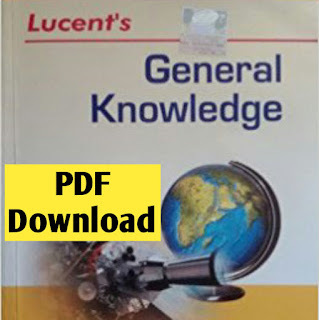 Lucent General Knowledge.pdf Click Here! Science Guidebook for SSC CGL CHSL Railways PSC Exams.pdf Click Here! Durand Line: Between Pakistan and Afghanistan, demarcated by Sir Mortimer Durand in 1896. Hindenberg Line: The line to which the Germans retreated in 1917 during the First World War, defines the boundary between Germany and Poland. Line of Control: It divides Kashmir between India and Pakistan. Maginot Line: Boundary between France and Germany. Mannerheim Line: Drawn by General Mannerheim; fortification on the Russia and Finland border. McMahon Line: The boundary between India and China as demarcated by Sir Henry McMahon in 1914. Oder Niesse Line: Boundary between Germany and Poland. Radcliffe Line: Drawn by Sir Cyril Radcliffe in 1947 as demarcation between India and Pakistan. Seigfrid Line: Line of fortification drawn by Germany on its border with France. 17th Parallel: Boundary between North Vietnam and South Vietnam before two were united. 24th Parallel: Line which Pakistan claims for demarcation between India and Pakistan. This, however, is not recognized by India. 26th Parallel south: It is a circle of latitude which crosses through Africa, Australia and South America. 30th Parallel north: It is a line of latitude that stands one-third of the way between the equator and the North Pole. 33rd Parallel north: It is a circle of latitude which cuts through the southern United States, parts of North Africa, parts of the Middle East, and China. 35th Parallel north: Boundary between the State of North Carolina and the State of Georgia and the boundary between the State of Tennessee arid the State of Georgia, the State of Albama, and the State of Mississippi. 36th Parallel: Forms the southermost boundary of the State of Missouri with the State of Arkansas. 36degree30' Parallel north: Forms the boundary between the Tenessee and the Commonwealth of Kentucky between the Tennessee River and the Mississippi River, the boundary between Missouri and Arkansas west of the White River, and the northermost boundary between the Texas and the Oklahoma. 37th Parallel north: It formed the southern boundary of the historic and extralegal Territory of Jefferson. 38th Parallel: Is the parallel of latitude which separates North Korea and South Korea. 39th Parallel north: Is an imaginary circle of latitude that is 39 degrees north of Earth's equatorial plane. 40th Parallel north: Formed the original northern boundary of the British Colony of Maryland. 41st Parallel north: Forms the northern boundary of the State of Colorado with Nebraska and Wyoming and the southern boundary of the State of Wyoming with Colorado and Utah. 42nd Parallel north: Forms most of the New York - Pennsylvania Border. South Dakota and also formed the northern border of the historic and extralegal Territory of Jefferson. Parallel 44degree north: It is an imaginary circle of latitude that is 44 degrees north of the Earth's equatorial plane. 45th Parallel north: It is often the halfway point between the Equator and the North Pole. The 45th parallel: It makes up most of the boundary between Montana and Wyoming. 49th Parallel: It is the boundary between USA and Canada.